England under Elizabeth I. A time of war and plague, politics and rebellion, personal heroism and religious fanaticism. When if you were born poor you stayed poor, and the thumbscrews and the rack could be the grim prelude to the executioner's block. But it was also an age that encouraged literary genius, global exploration, and timeless beauty. When the lowly privateer Francis Drake circumnavigated the globe with no reliable navigational instruments and only a drunken, mutinous crew for company. When the Queen's favourite, the wealthy and handsome Robert Dudley, was widely suspected of having killed his wife. And when only the machinations of ruthless intriguers like William Cecil and Francis Walsingham prevented Elizabeth's kingdom from descending into anarchy and political chaos. 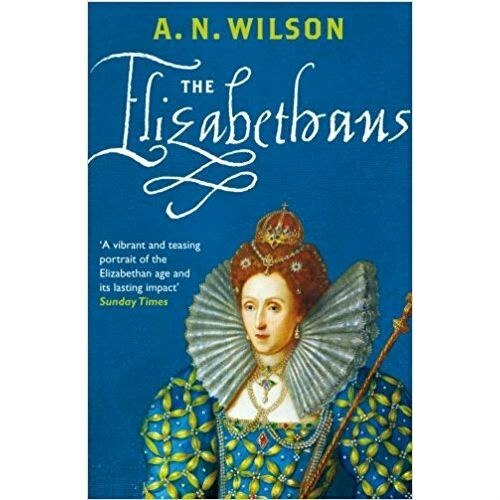 The Elizabethans is a panoramic, exhilarating depiction of an intensely colourful period by master-historian, A N Wilson. This is what life under Elizabeth I was really like.